Please.Write.More. This is SO Good. I love this series so much. It's smart, funny, acerbic, hilarious, delightful...even the character names are fun - and the way Wil Wheaton brings them to life makes me so,so, so happy. I was skeptical initially with the first book - "The Collapsing Empire" sounded like...kind of a lot. It's so good. 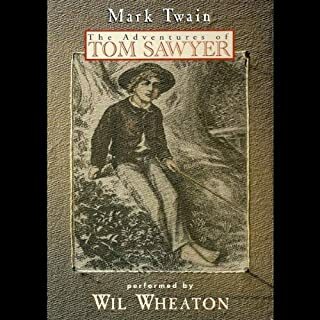 Mark Twain's The Adventures of Tom Sawyer is an excursion into boyhood, a return to simple, rural Missouri world of Tom Sawyer, his friends Huck Finn, Becky Thatcher and Aunt Polly. It is a world of summertime and hooky, of pranks and punishments, of villains and adventure, seen through the eyes of a boy who might have been the young Mark Twain himself. MOST OF THE BOOK IS MISSING!!! Classic for Good Reason - and Brilliant Narration! This book is a classic for a reason. It's smart and hilarious and just flat-out great writing. Mark Twain does a brilliant job of putting you inside the mind of an 11-year-old boy with a mischievous heart and a way of making himself in the world (or making the world in his own way). 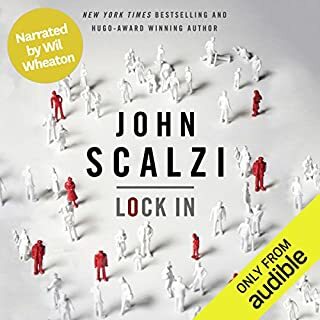 Wil Wheaton's narration is brilliant and stunning and brings the book to life. He could make the phone book sound interesting. This is a treat on every level. 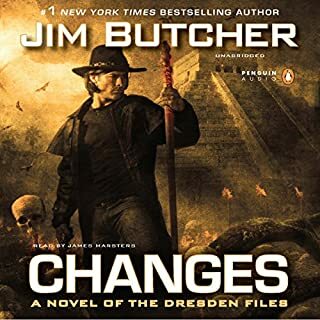 I love the Dresden Files - the series is continually smart, inventive, and fascinating - I finish one and pretty much immediately move on to the next in the series (and am currently downloading the next book). This one is much darker than the others - very dark, in fact - and the title isn't kidding. Harry goes through a LOT of changes in this book. As long as you're prepared for that, enjoy. This is a complete and utter hot mess. Dead characters resurrected! Every which way! Or not! Because nothing ever dies in Chris Carter's world, except for the storyline - and any shred of integrity. Long, utterly nonsensical conspiracy theory ramblings that make me wonder what nefarious substances Chris Carter messed around with in college - and that commit the ultimate fiction sin of being completely, utterly, irredeemably boring. 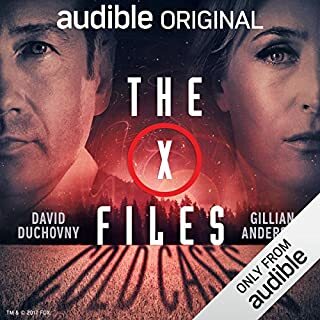 David Duchovny, Gillian Anderson, Mitch Pileggi and others soldier on, carrying their characters through dissolving green goo of stories. I couldn't wait for this to end. I got out of my car to get gas, started to hit pause, and then thought "No, it won't be any less of a mess if I miss five minutes." I wasn't wrong. Save your credits, your money, your sanity, and your self respect. Go watch season 5 again instead. The story was great. Very inventive, suspenseful, and well worth reading. I've liked everything I've read by this author. But there's something that bugs me. A lot. She uses a lot of words in the wrong way. Like she got a word-of-the-day calendar and is trying to work them into her story, and while she knows what they mean, she doesn't know how to use them. A person who is shivering from cold is not palpitating. Moribund is not what the grass is doing. There are a lot of examples of this, and to me it was distracting. The book was good. The writing is very good - except for that. 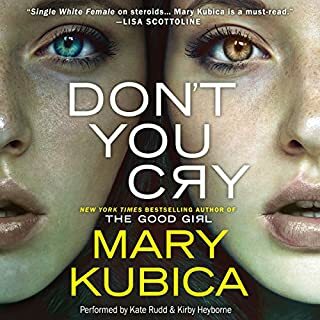 I will keep reading Mary Kubica's work, and I will likely also keep rolling my eyes at her bad word choices. Seriously. Editor. Help, please. I read a LOT of WWII books, fiction and non-fiction. This one captured my heart and my mind, and inspired me more than I can tell you. As many as I have read, this is the only one that I have cried hearing about VE and VJ days. This is awesome. Great mystery, great sci-fi, great characters, and great humor. 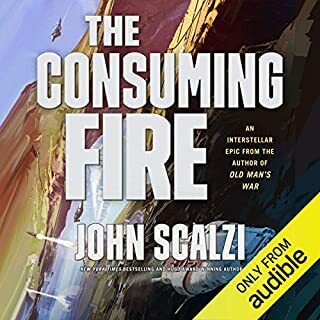 I'm making my way through John Scalzi's work and loving every minute of it. Wil Wheaton's amazing narration makes it that much better. I'm so delighted to have discovered this author and narrator. Fantastic Read - Great Concept! 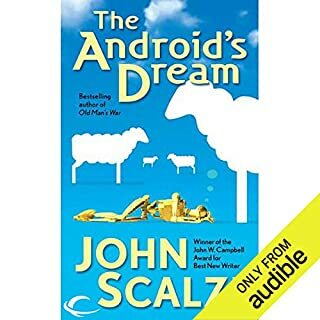 I discovered John Scalzi with "The Dispatcher" and loved that novella so much. This is another great find, with an interesting idea and well-written characters - not to mention a smart, surprising plot that kept me guessing all the way through. I wasn't familiar with Wil Wheaton as a narrator, and he's wonderful - the perfect choice for this series! I immediately downloaded and listened to the next book and anxiously await the next in the series. The Most Fun with Joe Ledger in Awhile! 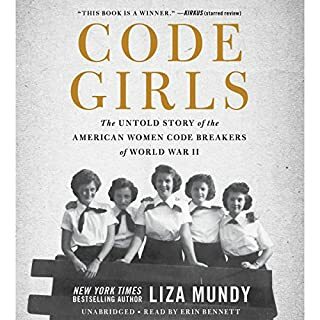 I absolutely loved this book, and immediately upon finishing it stated over again at the beginning. 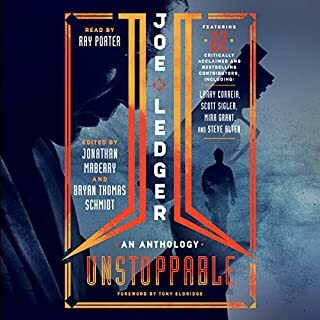 It's a series of Joe Ledger short stories by different authors spaced across the series timeline. There were a couple of clunkers, but overall this is outstanding,. There are some crossovers with other series, and I have a few new authors to check out (I especially liked the Ashley Parker crossover and am reading the first book in that series now in hard copy). Ray Porter. What can I say? The man is a genius. He is THE voice of Joe Ledger - and all the characters in the series. He brings the stories to life in his inimitable and amazing way. Even if the stories weren't good (which they are), I'd listen to him read them. Hell, I'd listen to him reading the tax code. Don't miss this - it's the most fun with Joe Ledger in quite awhile. He Did It Again!! So Great! I was so amused by the title of "We are Legion We are Bob" and of course, you know, Ray Porter. 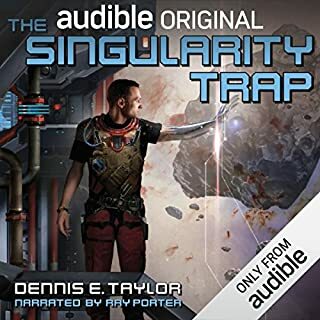 I loved those books so much and was excited to see Dennis E. Taylor's name pop up with a new book. And this one is so good. Great writing, great characters (especially Ivan - what he goes through is so well-written and so human and just - wow). There are some elements you'll recognize from Alien and from, actually, The Blob, but where Taylor goes with it blew my mind. I loved, loved, loved this book. If you liked the Bob series, especially, I think you'll love this. I did.